Having a strong, personal relationship with your dental lab will ensure that you’re getting the products you expect so your patients can have the smile they’ve been dreaming of. Without the help of a dental lab, dentists can’t provide restorative and cosmetic services like crowns, veneers, and dentures. Communication is the key to a successful business for everyone, which is why we strive to work closely with each and every client here at Equipoise Dental. Whether you’re opening up a new practice or you’re looking to make a change, there are questions we believe every dentist should ask the lab to make sure that their products are up to the standards of the quality of work they’re providing. How does the lab ensure that their quality is the best? We understand that no patient wants to wait longer than necessary for their new and improved smile. We also understand that you don’t want to make them wait, either! But sometimes, allowing a dental lab to take more time to make sure their products are the best they can be is preferred. 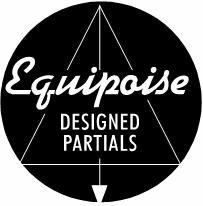 Having top quality products is something that we here at Equipoise Dental pride ourselves in. We don’t ship out our products if we’re not completely sure that they’re what every client and their patients deserve. Don’t be afraid to ask about the process of our product making, how everything is checked, and what material is being used, and what we think is best. There are many steps involved in the process of making our products and we’re more than happy to share with you, so you have a better understanding of the products you’re using and how it can benefit your patients. What makes this lab special over another lab? There are upon thousands and thousands of dental labs that dentists can choose from, but we know that you want the one that has experience, a reputation, and the resources to prove it. Like we mentioned before, we encourage all of our potential clients to ask any and every question that they have—both clients and patients deserve the best work and we strive to achieve that work. Equipoise Dental wants every client to be proud of their work because of the products they provide for their patients and that’s what we’re here for. We encourage everyone to ask these questions mentioned, and any other questions that they have, so you’re comfortable and confident with our services. Call Equipoise Dental today at (800) 999-4950 if you want to learn about our products, rewards, and more.